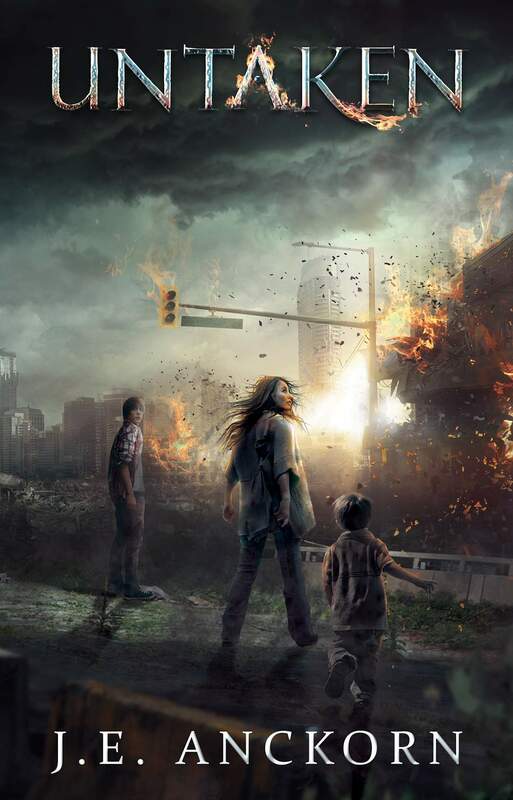 From the world of the best-selling YA series Red Rising comes a story of love and loss and rage! In the future, when mankind has spread across the stars, the hierarchy of man is dictated by the color of one’s caste. The Golds rule all, but what will happen when one falls for a lowly Red? See how a forbidden love will set the course of events for the future and lead to the formation of the formidable Sons of Ares! Written by author Pierce Brown (The Red Rising Trilogy) and Rik Hoskin (Heroes of Skyrealm, Brandon Sanderson’s White Sand), with art by Eli Powell (Yakuza Demon Killers, The 13th Artifact), comes the in-continuity story of revolution and Red Rising! 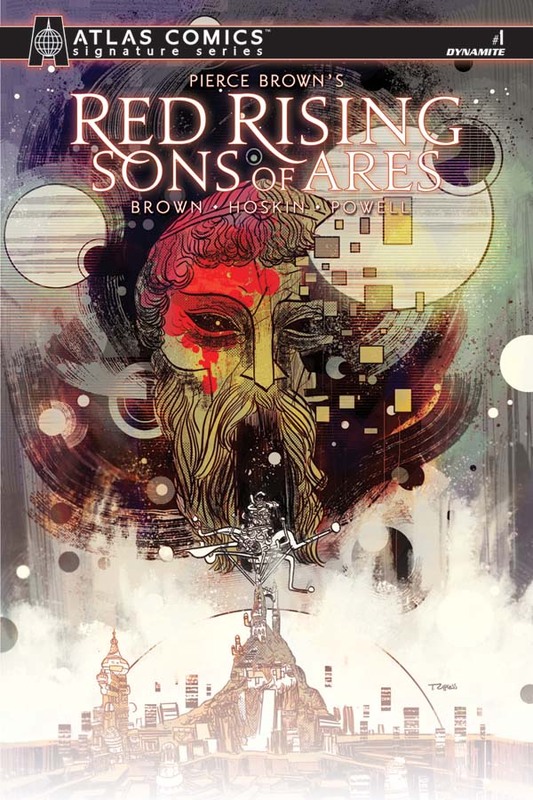 “Red Rising: Sons of Ares” is a must for any diehard Red Rising fan. The backstory of how it all began is interesting, and I hope it continues. One of my favorite touches was that the text bubbles matched the color of whoever was speaking. Anyone who hasn’t read the books first probably won’t find it enjoyable, so please read the wonderful series first! Cam is eager to leave Earth with the rest of the elite 1% until he connects with one of the 99%, Sofie, and joins her in the fight for Lowerworld rights. I am definitely in the minority with this, but “Freefall” felt blah to me. There was a good story and good world-building in there, but it feels like it moved at a snail’s pace getting to anything exciting. I also felt disconnected from the main characters. This is one of those where I can neither recommend nor not recommend it. Emmett accepts an interstellar space contract but learns en route that to win the promised fortune he and nine other recruits face a brutal competition, putting their very humanity at risk. I’ll say right off the bat that “Nyxia” borrowed quite a few elements from other science-fiction and dystopian works. That being said, it didn’t diminish my enjoyment. It was a quick read that left me wanting more. Emmett is complex, as are the secondary characters, and there are definitely deeper things going on that I want to know about. Unfortunately, I’ll have to wait for the second book. The cast of characters is extremely diverse. This is a good setup to the rest of the trilogy that I can easily recommend to those who enjoy science-fiction or dystopian novels. Sixteen year-old Raven, injured and still grieving over her boyfriend's death by the invading Nahx, crosses paths with Eighth, a Nyx warrior who has deserted his unit and abandoned his directives, and as the world falls apart around them, the two learn to trust each other in order to survive. I really wanted to like “Zero Repeat Forever.” It has so much that I love: aliens, survivalism, nightmare-inducing scenarios. Unfortunately, it fell very flat. The chapters featuring Raven seemed to drag on in an effort to make the “forever” in the title seem literal. I also did not find her character likable at all. The only redeeming parts of the book were Eighth and diversity. I can’t recommend it to even the biggest of alien invasion fans. What's worse than having half of your secret race wanting to kill you? Having both sides want to control you. Feeling something for Reid Wentworth is not part of the plan. Josie Harper doesn't have time to think about hot boys when she has to help unite the Resistance against the Consortium. To say her life has changed since discovering she's an Oculus would be the understatement of the century. The Consortium is out to enslave humanity—yeah, they aren't fooling around—and as an Oculus, she's one of the few people capable of altering reality and thwarting them. In the largest Resistance hub in North America, Josie learns she doesn't only have the strongest abilities to Push and Retract reality, she has gifts no other Oculus has. When they get word that the Consortium is flying in a world-renowned tech researcher to their headquarters who may have the knowledge to enslave humans, Josie and Reid assemble a team to intercept the researcher and to bust out Reid's best friend, Santos, who was taken hostage until they get Josie. But the Board won't let them leave. The lines have blurred. The only person Josie can trust is Reid. Unfortunately, I feel a little let down by the resolution. We got to meet secondary characters that were important but not very developed, and the ending seemed very rushed. To be honest, it was confusing to me. In spite of this, I did enjoy it, but not as much as I hoped. There seems to be an opening in the ending for possible further adventures, and I think that opening holds promise for more character development and an easier to follow plot. “Illuminae” is a book like none other I have ever read. It felt like I was watching a documentary while playing a video game, with the occasional break to notice I was actually reading a book. I don’t even know how to write about it without spoiling it, because even the format in which the story is told seems like it would be better as a surprise. There is romance, a lot of humor, some crazy space stuff, a conspiracy, viruses, etc. If you can think of it, it is probably in the book. The beginning is a little slow, but once you get used to the unusual format the pace begins to pick up. By the end it feels like you just started reading. I really do wish I could say more, but I hate spoiling something so darn fun. And trust me, if nothing else, this book is fun. I highly recommend “Illuminae” for upper middle readers and up, especially those with a love of video games (hint: Portal) and science fiction. The quick-read format makes it an excellent choice for reluctant readers. It turns out that a real alien invasion is nothing like the Sci-fi shows 14-year-old Gracie loves. Not when it's your own family who are swallowed whole by those big silver ships. Not if it could be you next. In her search for her family, Gracie meets Brandon, a high school dropout who would never have been caught dead hanging out with a dork like Gracie before the world ended. Gracie isn't too crazy about Brandon either, but he has one thing she doesn't: A plan. Brandon's uncle has a cabin up in Maine, and If Gracie and Brandon can survive long enough to get there they can hide out until the Space Men pack up their ships and leave. Until the army guys come to rescue them, says Brandon. Brandon is big into army guys. Gracie has to admit that Brandon's Awesome Plan probably would have worked out great if wasn't for Jake. They found 5-year-old Jake, laying half-dead under the remains of someone's ranch house. He's a good kid, even if he won't-or can't- talk. But Jake has a secret, and when Gracie finds out what it is, the fragile new life they've started to forge looks set to break apart. When the people you've been counting on to put the world back together start hunting you down, alien invaders are the least of your worries. “Untaken” is a new series that makes me feel as though I were given a gift by being allowed to read and review it. It puts a new take on the apocalyptic theme of an alien invasion, eventually evolving into dystopian territory. I am going to say this right now, if you see the word “alien” and think it is not your deal, please reconsider and give it a try. The plot is one of survival, with the aliens being the catalyst for the events but not the central focus of the story. The true story is what constitutes humanity and how human humans react when placed under unimaginable circumstances and stress. The central characters are three children: Gracie, Brandon, and Jake. Their stories are divided into three parts, with the first devoted to their separate lives before and during the initial catastrophic events. This format serves for developing their backstories and personalities in an extremely detailed way. It feels like you know the oldest two, Gracie and Brandon, personally before they even meet. Jake is more of an enigma, and that is a great feature in the story. While the first part features a lot of action, the second and third parts are more of a slow burn. I love slice-of-life stories that take their time in building new worlds, and this is one of the best I have ever read. The writing is compelling and nearly flawless, leaving the reader to sit back and enjoy the book without the burden of superfluous details and a stuttering plot. It seems to be the beginning of a series, and I hope that is true. I really want to see what comes next. I highly recommend “Untaken” to those who are 12 and up and looking for a promising new series. If you’re a fan of Mike Mullen’s “Ashfall”, it is something not to be missed. Warning: Once you start it, you may not be able to put it down. Taking her Oath after a lifetime of training to be a Seeker who protects the weak and wronged in a near-future world, Quin is shattered to discover that her family and the boy she loves are not the people she thought they were. Simultaneous eBook. It’s difficult to categorize “Seeker” because it spans across a wide range of genres. There are elements of fantasy, science fiction, dystopian, steampunk, and romance all rolled into a unique and compelling read. The world building is amazing from the start, setting up what a reader needs to know while also leaving a lot of questions to be answered at later times. The plot flows at a consistent pace without lagging. As with the world itself, the backstory is revealed at a slow pace, leaving readers with only the answers they need and the desire to find out more. The narrative is split between four characters in the rather rare third person limited point-of-view. It works very well in this situation, and none of the transitions between characters are jarring. All of them are brought to life in the reader’s mind, full of flaws and individual complexities. Also, for those who like finding a ship, you will probably find one before chapter 3. I can’t wait for the second in the series and highly recommend “Seeker” for those who enjoy any of the genres listed above. Due to subject matter, I think it is most suited for those in the eighth grade and up.